fall colors, candy, tricks,treats,Jack o lanterns. These are great themes for cards! 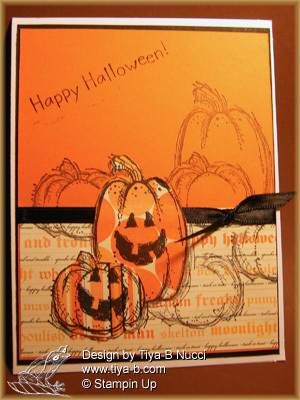 the paper is a Halloween tablet by Embellishment paper.